Marketing success largely depends on brand trust. If you’re unsure how to increase sales and about what approach you need to create brand trust, consider cause-related marketing. 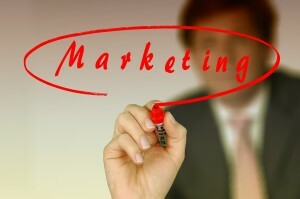 Cause-related marketing is one of the 10 best marketing tips. A study showed it tremendously drives sales, according to a communications firm, Cone, and Duke University. It was a 2008 study, but its conclusions are timeless. The study’s respondents participated in a simulated shopping spree at a pseudo-convenience store. In the first of two phases, the shoppers used money provided in the study and bought products in four consumer-good classifications associated with-and-without a charitable cause. The second phase included adults shopping online for shampoo and toothpaste. It resulted in the respondents spending about twice as much time reading cause-related ads as they did in viewing the generic ads. Plus, the cause-related ads generated a 19 percent sales increase for the toothpaste brand, and a five percent increase for the shampoo among the male and female participants. Among women shoppers, the shampoo resulted in 14 percent higher sales. Despite obstacles in a recession, the study also suggested 52 percent of consumers expect companies to continue their support of charitable causes. Twenty-six percent expect companies to increase their charitable support. Eighty-five percent look more favorably at a socially responsible company. The top two consumer preferences for cause-related marketing: Economic development and education. Here’s an example of how to implement cause-related marketing: If education is a hot button for you, and ­it is for me,­ consider setting up a foundation to award scholarships. Contribute a portion of every sale to deserving students to further their education or training. Cause-related marketing should not be overlooked, particularly, at year-end in approaching the Q4 holidays. Consumers will love you. Plus, it will help you to get top results from your marketing plan. You can help deserving organizations increase revenue and propel your business to a profitable, stronger image if you use the six best practices for your cause-related marketing program. Firstly, implement marketing plan essentials for best results. Secondly, avoid being myopic, especially in the fourth quarter. Q4 is stewardship season ­and for budgeting. Many businesses find they need to cut budgets, and they’re often laying off workers, and slashing marketing and human resources training programs. That’s a short-term need, but what about the long-term? If you’ve been using the right approaches in marketing and human resources, your employees, training and brand equity are all assets. The companies that announce layoffs, especially between October and January, find they lose brand trust. Customers are far from impressed. They’d rather do business with a company known as a good employer. More than ever, you need to maintain top-of-the-mind awareness ­ in the marketplace with great marketing and customer service ­– whether you’re a B2B marketer or if you target consumers. So it’s important to find a happy balance between your assets and liabilities for short-term and long-term growth. Avoid cutting muscle in your business and when the economy recovers, you’ll be well-positioned to increase your market share. That’s a promise.